The 2019 Oscars are set to go ahead without a host for the first time since 1989. But there is perhaps a reason it has taken so long for it to happen again – as 1989’s ceremony has gone down as one of the most embarrassing moments in Oscars history. It took a long time for the footage of that night to re-emerge. When it eventually popped up on YouTube, it attracted a million views in a day. 0:01: Army Archerd, a greying columnist for Variety magazine, stands at the entrance to the Oscars and introduces Snow White (played by 22-year-old Eileen Bowman) – dressed exactly like the 1937 Disney depiction of the fairytale princess. Archerd tells her to “follow the Hollywood stars”- people in tights wearing massive sparkly polystyrene stars about their torso. 0:28: With a squeal like sped-up whalesong, Snow White enters from the back; she has to go down a long slope to the front, past actors, directors and producers who already look appalled. Snow White goes to greet some of them; they actively distance themselves as much as possible. None more than Michelle Pfeiffer – when Snow White goes to grab her hand, Pfeiffer pulls it away. This one movement signals to the watching world what the mood is in that theatre, just one minute in. 1:25: The song continues and Snow White tries to engage Tom Hanks, Sigourney Weaver, Dustin Hoffman and Glenn Close. All give her the same frozen smile and 1,000-mile stare of a combat veteran. 2:10: Snow White goes centre stage and the curtain lifts, revealing a set done to look like the Cocoanut Grove nightclub at its peak. Salsa music plays. California native Merv Griffin starts singing I’ve Got A Lovely Bunch Of Coconuts in a faux Cockney accent. Sitting at the tables of the “Grove” are a selection of veteran stars (Roy Rogers, Vincent Price, Cyd Charisse). One by one, they are taken away by dancing waiters in sequinned trousers. 4:57: Griffin introduces Snow White to her “blind date”, Rob Lowe. Lowe looks like he already knows the next few minutes are going to cause grievous bodily harm to his career. 5:21: Lowe and Snow launch into a rewritten version of Proud Mary. Lowe hits a bum note on his first line and never recovers. “Rollin’, rollin’, keep the camera rollin'”, they sing. Everyone else hopes that they will just shut the cameras off. Forever. 6:58: Three women wearing enormous coconuts on their heads enter. One, who has genuine singing talent, takes over from Snow White – which does wonders for the audio but throws Lowe’s abilities into somewhat sharper relief. In the background, the tables stand and dance, lamps on their head. 7:37: The routine finishes. The camera cuts to the audience. It is perhaps just unfortunate that it finds Robert Downey Jr, whose face is an unmatched study in contempt. He gives all of three sarcastic handclaps. 9:45: Snow White’s skirt swells into a 10-metre wide gold peacock-feather contraption, and she is wearing an outsized box office stand on – yes – her head. Hooray For Hollywood, the backing song trills. 10:12: Steps that hide Snow White are moved centre-stage. Her ordeal is over. Lily Tomlin steps out of the box office stand and starts to descend the steps. She loses her shoe on the way down. “I told them I’d be thrilled to do the Oscars if they could only come up with an entrance,” she says. There is mild laughter. In the background, Lowe crawls down the steps to throw the missing shoe back to Tomlin. He throws it wide and it falls in the orchestra pit. Lowe flees the stage. “A billion and a half people just watched that,” Tomlin adds. The longest 11 minutes in film history are over. Last year Rob Lowe was asked about the “debacle” of 1989’s Oscars by the New York Times. Admitting he made a “huge mistake” by taking part, he added that there had been benefits to taking part. 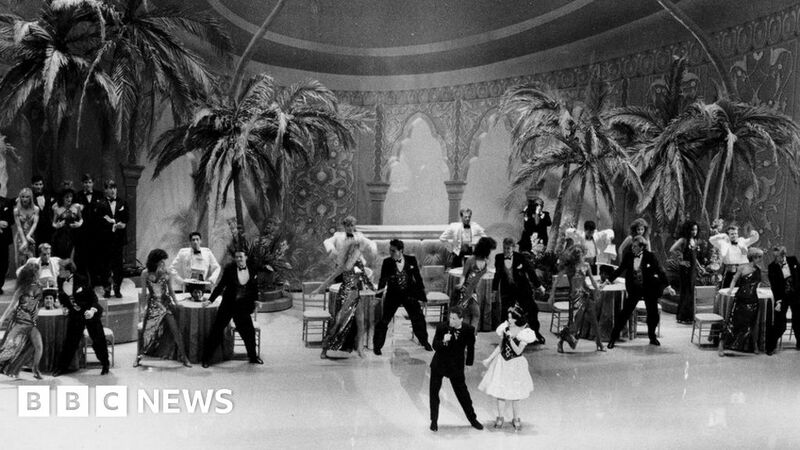 Later in the show there would be another big routine that flopped – Bob Hope and Lucille Ball introducing a 10-minute-long “stars of tomorrow” song-and-dance bit involving young actors mimicking Michael Jackson, sword-fighting and tap-dancing in MC Hammer-style trousers hoisted up to their throats. “The 61st Academy Awards ceremony began by creating the impression that there would never be a 62nd,” wrote the New York Times’s Janet Maslin. Hollywood producer Allan Carr – renowned for his lavish parties – had been selected as the ideal antidote to what had become a boring, staid show. He promised “the antithesis of tacky” and “the most beautiful Academy Awards of all time”. The opening 12 minutes were based on a musical revue called Beach Blanket Babylon, which Carr had seen at a nightclub in San Francisco; Carr hired its creator Steve Silver to direct it. Sat in the audience, Silver realised immediately how badly it had gone down. But Carr was oblivious until he found the usually supportive newspaper columnist Jeannie Williams in the press room. She told him it was “over the top” and questioned what Snow White was doing in the Cocoanut Grove. Carr knew he was in trouble. The morning after the Oscars – when normally a producer’s phone would be ringing off the hook with congratulatory messages – there was silence at Carr’s home. But two critical – in both senses – pieces of correspondence did follow. The first was from the Walt Disney Company. It was a legal case against the Academy for using their Snow White character without permission. The Academy went on to apologise for the “unauthorised use of Disney’s copyrighted Snow White character” and for “unintentionally creating the impression that Disney had participated in or sanctioned the opening production number on the Academy Awards telecast”. Some of the signatories were people who had been regulars at Carr’s parties. Carr, whose career highlights had included writing and producing credits for Grease, had his reputation in Hollywood dented. It never fully recovered and he died of liver cancer in 1999 at the age of 62. But amidst the criticism of the show, which was later described by Hollywood Reporter as “Oscar’s biggest goof”, Carr had reversed the decline in viewing figures; 42.7m watched across the US. (For context, that is 10m more than watched the 2018 ceremony). He had also made a number of changes that define the ceremony to this day. The phrase “and the winner is…” was replaced by “and the Oscar goes to…”, which sounded less exclusionary. The arrival of the stars on the red carpet – which now has its own show – was given much greater prominence. And Bruce Vilanch, hired by Carr, remained the chief writer of the show over the next two decades. And indeed Vilanch’s gags found their perfect voice in a certain Billy Crystal. Carr had selected him to deliver a monologue at the 1989 Oscars and it went so well that he was asked to be the full-time host for 1990. Follow us on Facebook, on Twitter @BBCNewsEnts, or on Instagram at bbcnewsents. If you have a story suggestion email entertainment.news@bbc.co.uk. Follow Ben on Twitter.